Leasing a car has many benefits and can be ideal for those not interested in owning a car. After all, a car’s value is not expected to go up over time the same way a property does, so owning something utilitarian doesn’t always make sense. If you look at a car as something that gets you from point A to point B, leasing may actually be the best deal for you with lower mechanical costs and maintenance fees. Unlike simply renting a car, leasing means you keep the car for a set amount of time (often three years) whilst making monthly payments, returning the car at the end of your period. As a growing industry in the UK, here are some reasons you should consider leasing rather than owning. The companies which lease cars are able to get up-to-date deals from major finance companies and car dealerships throughout the UK. As a result, your vehicle broker often has very competitive market rates depending on the vehicle. This keeps down your monthly bills. As you’ll be paying less up-front than you’d typically do so on a loan with some dealers offering no down payment. When you lease, you avoid the taxes and special finance charges you’d be feed when you buy a full-price vehicle. The costs of leasing mean you’ll often be able to drive a much better car than had you bought one. This is because your lease pays for the car’s depreciation during the period of leasing and not the full value of the car. This gives you a better car in the short term. What’s more, you’ll be driving newer cars which are more reliable and less likely to break down. Many car owners find the car sales process to be a hassle. A lease or contract hire means that you don’t have to worry about re-selling your car when you’re finished; you just have to drop the car back off at the dealer once your lease is over. You are then completely free to choose a new car again for leasing or to purchase a new one without relying on your former car’s trade-in value. Brokers are independent. They are constantly reviewing the market for up-to-date rates which mean that you, the car customer, will not be tied down by a dealership and their finance plans. You don’t have to spend your time looking around for the best dealership price or with their fine print. In short, you are not tied down. What’s more, you don’t have to argue or negotiate over the value of the vehicle. The biggest worry for car owners is usually a big-ticket issue that can be crippling, such as air conditioning units, timing belts or car batteries. 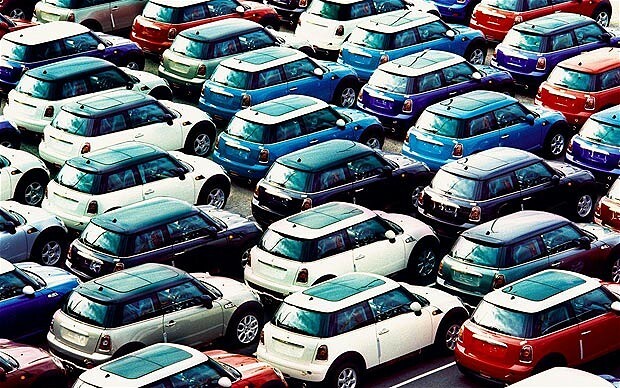 As leased cars are generally new and more reliable, it’s unlikely these will need replacing. If something actually does go wrong with your car, it’s often covered under the manufacturer’s warranty.